It’s a fact that a well-wrapped present doubles the fun and excitement for the child receiving it, so we thought we’d show this awesome collection of sticky tapes, which will jazz up any plain box or wrapping paper. 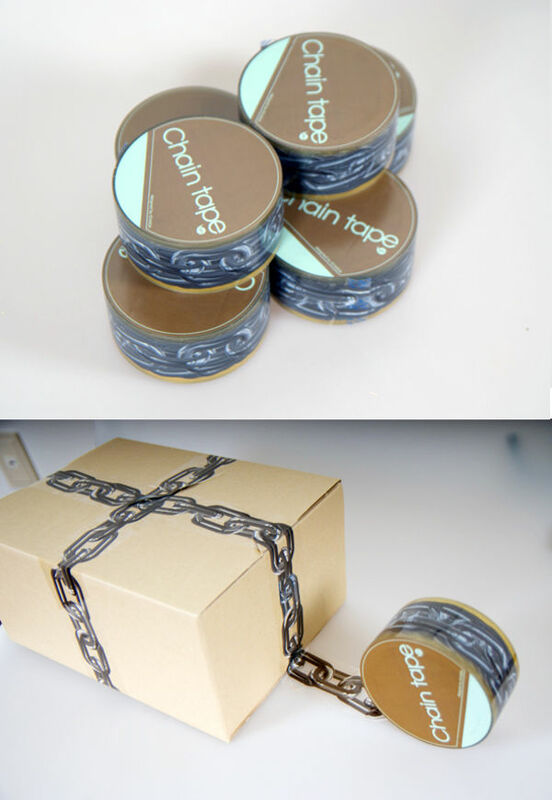 We do love a good gift-wrapping tip – and these tapes will save you a heap of time on decorating and fussing over wrapping. 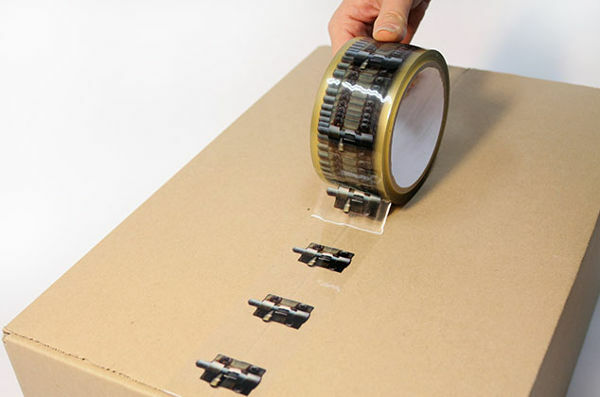 Just grab yourself some white paper, or plain boxes, and these sticky tapes will do the rest. And they’re not seasonally-themed, so keep them in the drawer ready to pull out on any special occasion. X-tape comes in a few different styles, and you can experiment with the look. 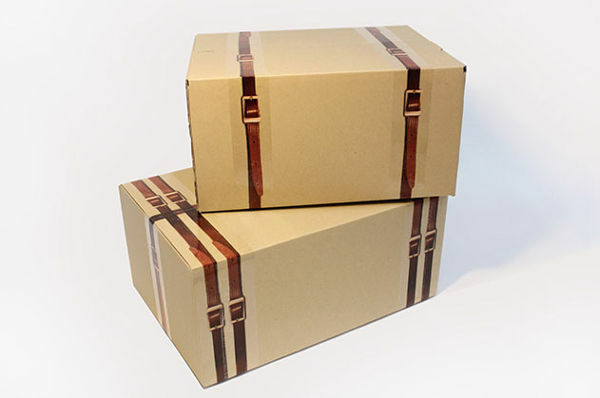 For instance the Strap Tape (at the top of the post) looks amazing used on a plain brown box. 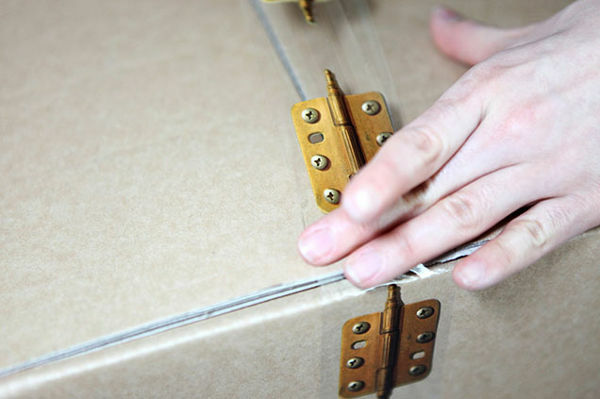 The Hinge Tape can also dress up a plain box, just use it down a seam for the perfect look. And how much fun will this chain tape (below) be at Christmas time to give the kids a reminder about the no peeking rule! 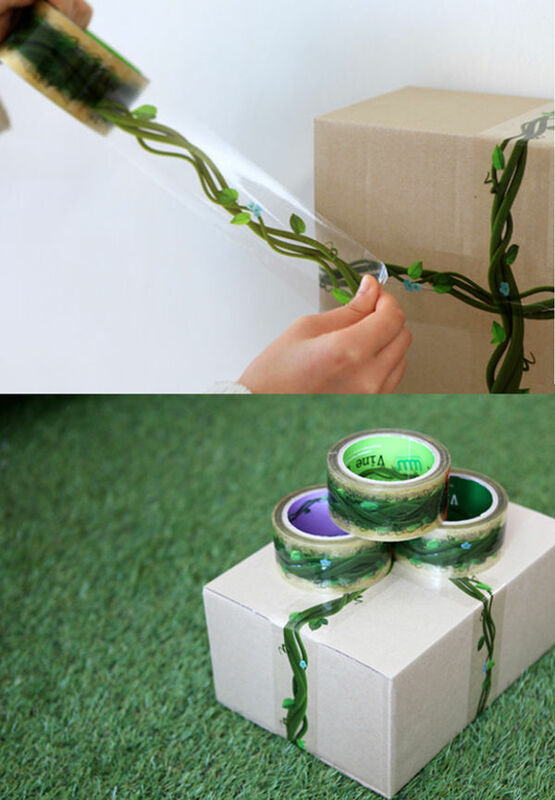 And the cellophane adhesive tape isn’t limited to use on presents, it can be used on windows, or in children’s craft. X-tape is available from Studio Skinky for $12 a roll.